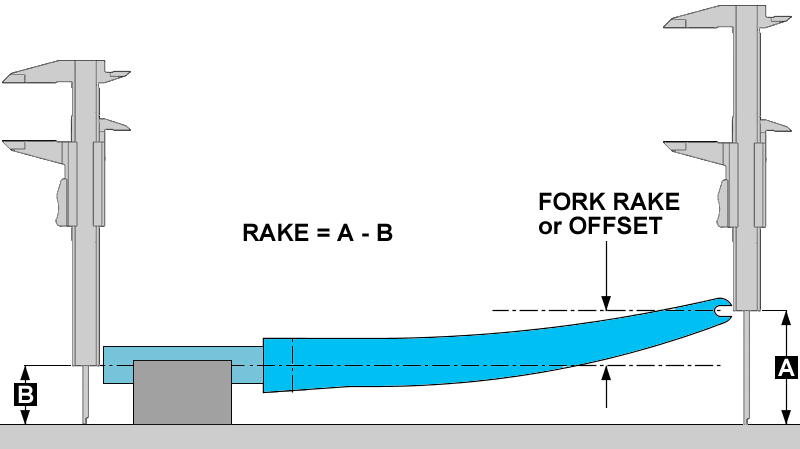 The above diagram demonstrates a possible approach to measuring fork offset or rake. Rest the steerer tube of the fork on a V-block on a perfectly flat surface. Measure the height of the fork dropout off the top of the flat surface (Dim A). Measure the height of the center of the steerer tube off the top of the flat surface (Dim B). Subtracting Dim B from Dim A will result in the fork offset or rake.